office building, theatre and cinema, hospital, etc. Compressor capacity can be adjusted by step-less/step control. 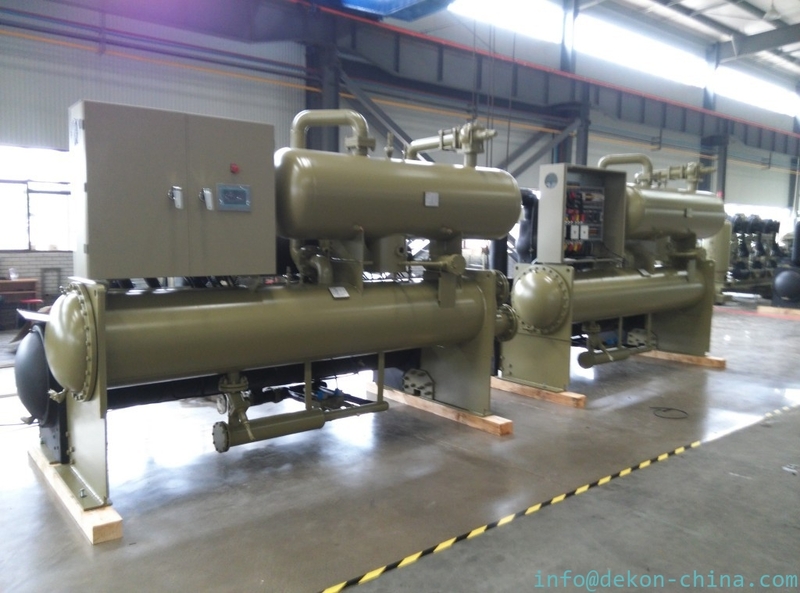 The chiller has function of interlock. Cooling water pump, chilled water pump in the control cabinet/panel can be connected to external equipment and achieve interlock control. So system can save energy. 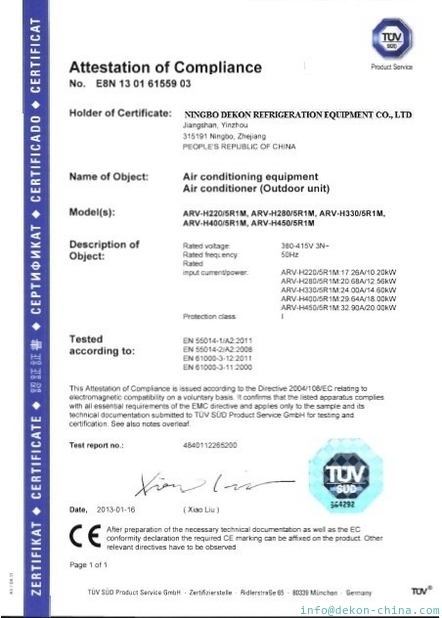 Refrigerant has been charged into the chiller and full performance test has been done before delivery. 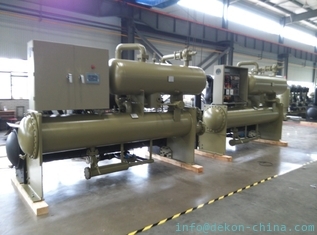 Customers only connect the water pipes and power supply , and then conduct the commissioning and operation of the chiller. Integrated design and compact structure , small dimension and simple lifting. 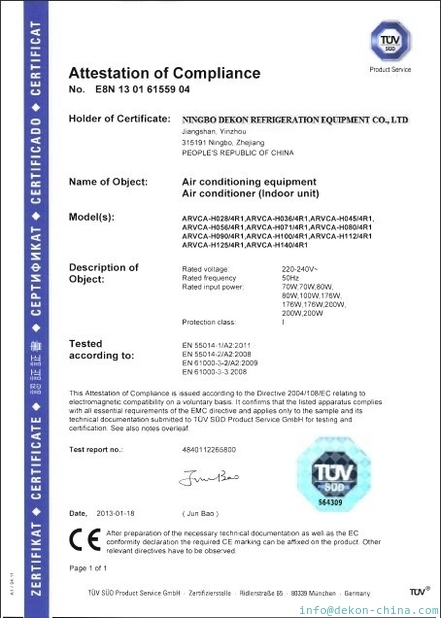 The chiller is equipped with RS-232 standard serial interface to connect with PC or MODEM, such as connecting to MODEM, remote monitor could go through visiting public telecommunication exchange network to achieve remote communication monitoring. multi-unit control and connection with building automation system (BAS) can be accessible to remote control of the start/stop of the chiller. Parameters such as temperature of inlet and outlet of CHW (chilled water), unit fault and operating time can be displayed on LCD, meanwhile various parameter-settings can be proceeded.